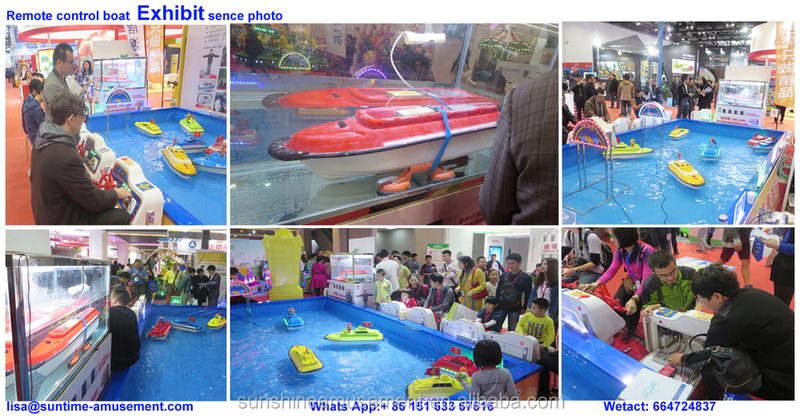 kids playground remote control boat equipment .amusement park remote control boat .The skill and fun of manoeuvring a remote control Boat appeals to people of all ages. RemoteControl Boats, now with Genesis Technology, are available in a variety of styles and colours to suit any location. All boats are fully controllable, in both forward and reverse, and with twin propeller control they will turn in their own length .Remote control Boats are ideal for most types of pool, either existing water areas or purpose built pools of vinyl or concrete. styling and great new Genesis technology. it looks great in any setting with its graceful curved lines and sporty appeal, young and old will be queuing up to get behind the helm. it is slightly longer than our standard boat design at 90cm but is still coupled with our tried and tested transmission system using superior quality brushless motors, with proven long term reliability. Other manufacturers use a steering gear, not damp, not water, Cumulative life of only a few dozen hours. Our remote control boat using the brushless motor ,It has four nationalpatents, it can work in the water Our boat like a submarine in the water ,Continuous immersion for amonth,Take out to use,no problem. Five dollars / game, Spend five minutes time. Can decide it according to city. Our boat has a variety of styles, a variety of colors. It is very popular for children and adults, Three days to recover costs, Very big profit. 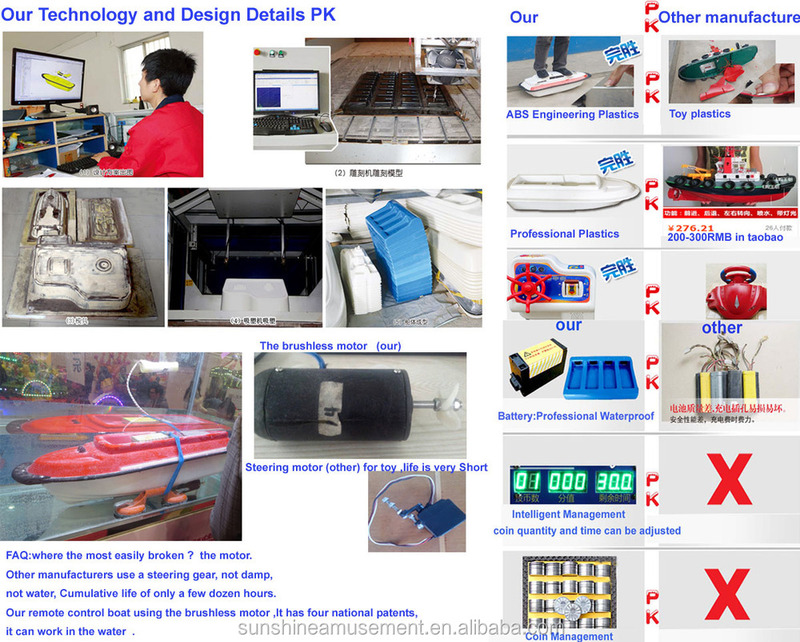 A boat with two batteris, A battery can be used four hours,total is two batteris,So it is enough to Business. and Export is no problem. 4.How many square of pool? 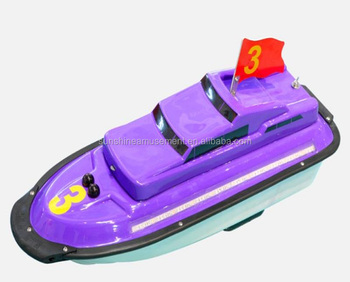 The remote control boat MOQ is 4 set. It is need 20 Square meter pool.the pool size base on boat quantity. 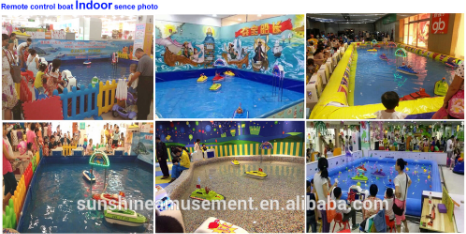 500 Set/Sets per Month Our factory area of over 30,000 square meters, eight workshop, remote control boat workshop had 40 staff ,We are doing the North's largest amusement equipment manufacturers.